We’re conflicted about this blueberry kale smoothie recipe. Not whether it’s lovely—-that we pretty much all agree upon. 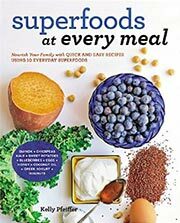 The source of conflict is whether or not the blueberries and honey do, in fact, as the author swears, completely mask any trace of kale. Some of us swear it tastes like “bananas and blueberries and creamy icy summertime” and have sneakily relied on it to sway even kale-haters to down a glassful and go back for seconds. Some of us swear we can, in fact, taste a slightly “earthy aftertaste” yet don’t mind it. We’re not about to accuse anyone of telling fibs, as we think it’s just a personal tastebud sorta thing. And also a matter of exactly how much kale you pack into your blender. So while the exact shade of blue or green in your glass may vary, what’s undeniable is the smoothie’s satiating creaminess, honeyed sweetness, and nutritional awesomeness. So give it a twirl and let us know in a comment below, can you taste the green? 1. Dump the milk, kale leaves, blueberries, banana, and 1 tablespoon honey in a blender until the kale is really tiny green flecks. (You may wish to start with 1 cup kale and then blend it and, if you feel the taste and color of the smoothie can stand a little greening, add more kale to taste and blend away. The more kale you add, the more green your smoothie in flavor and in color.) Add the ice and blend until smooth. Taste and, if desired, add more honey to taste and blend again. 2. Divvy the smoothie among 2 or 3 glasses and serve immediately. 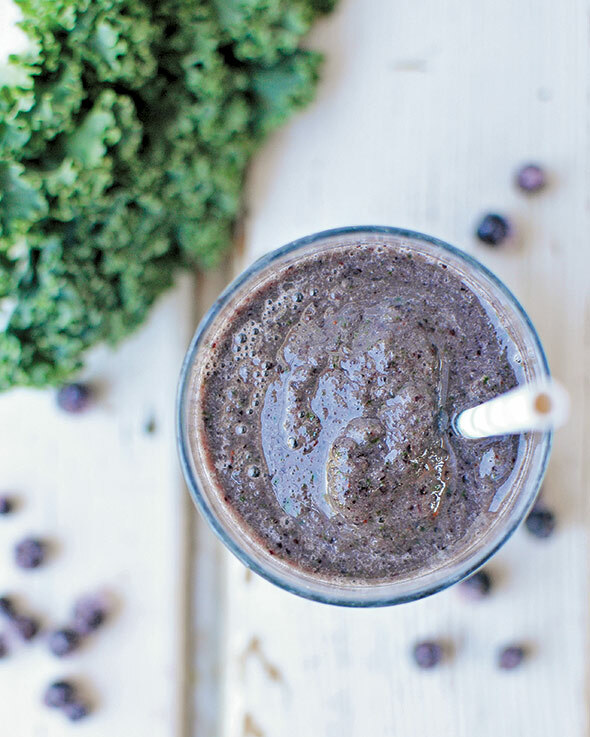 Blueberry Kale Smoothie Recipe © 2015 Kelly Pfeiffer. Photo © 2015 Kelly Pfeiffer. All rights reserved. All recipes and photos used with permission of the publisher.